YouTube has rolled out a feature for iPhone users to directly stream whatever is on their screen to the YouTube app according to Techcrunch. This means that whether you are doodling on your phone, playing a game or drawing a sketch, you can directly stream that activity to the YouTube App. This feature has been available for some time on Android smartphones. This update could be very useful and be appealing for online video game streamers and also to rival other live streaming services such as Microsoft Mixer. 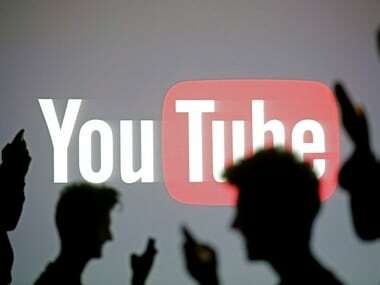 The report claims that to make it possible for iOS to have the direct streaming feature, YouTube had to put in support for Apple’s ReplayKit which had been utilised by YouTube Gaming app for live-streaming games from several developers such as Super Evil Megacorp, Gameloft etc. This new feature can be helpful for streamers to live stream for mobile gaming tutorials wherein the person can use the front camera and mic to add their own audio-visual taste to the stream. Other enhancements, according to the report, are more in tune with engaging with fans while streaming. YouTube claims of employing ultra-low latency which could help gamers to answer fan questions while being on the live-stream. It is also using tools for easier chat moderation, which includes the ability to assign a moderator who can handle the chat during a live stream. YouTube had earlier only made the live streaming app available to channels with over 10,000 subscriptions. Currently, anyone with even a 100 subscribers can live stream from their Android or iPhone directly.